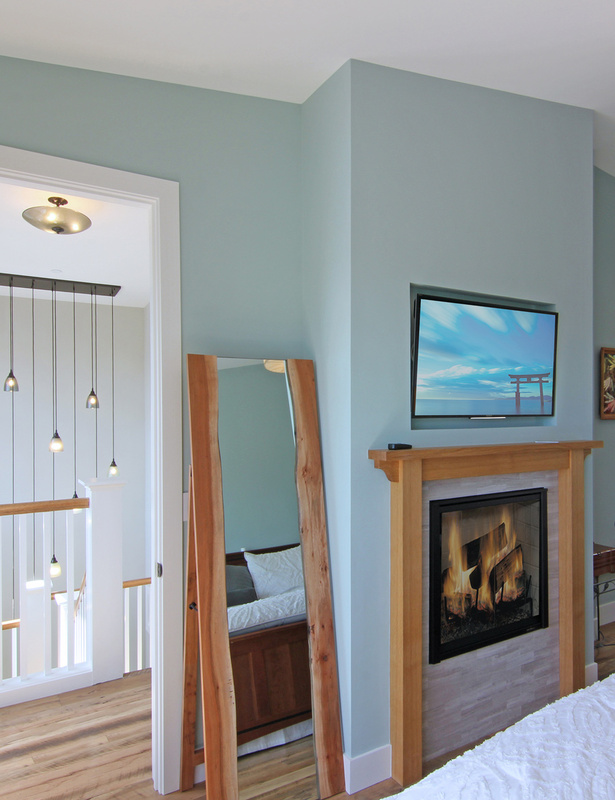 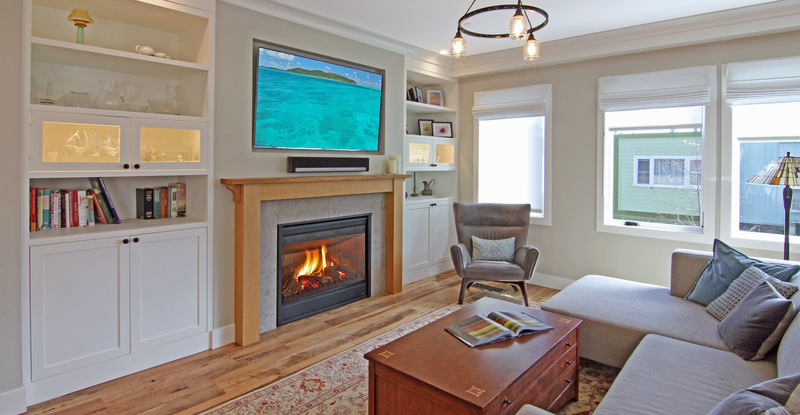 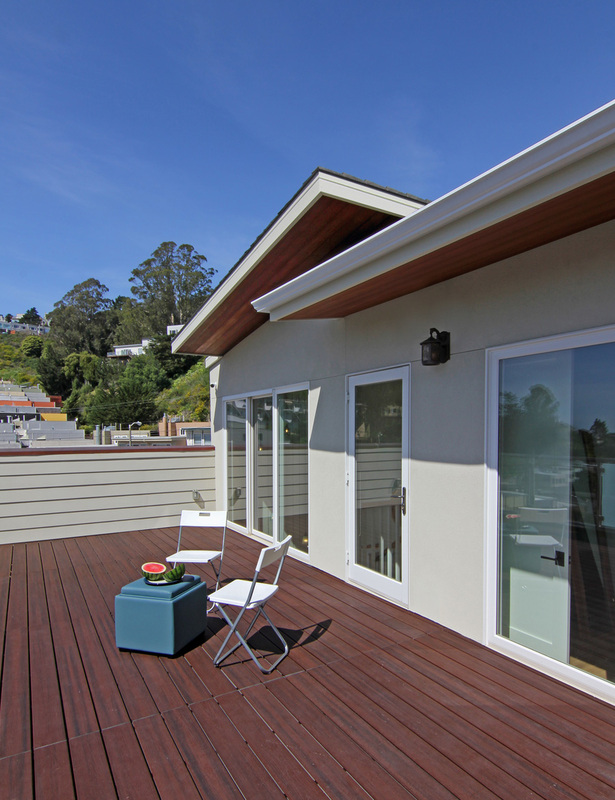 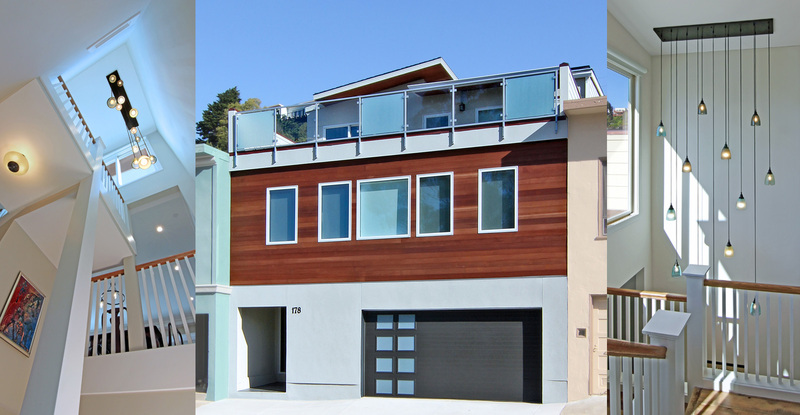 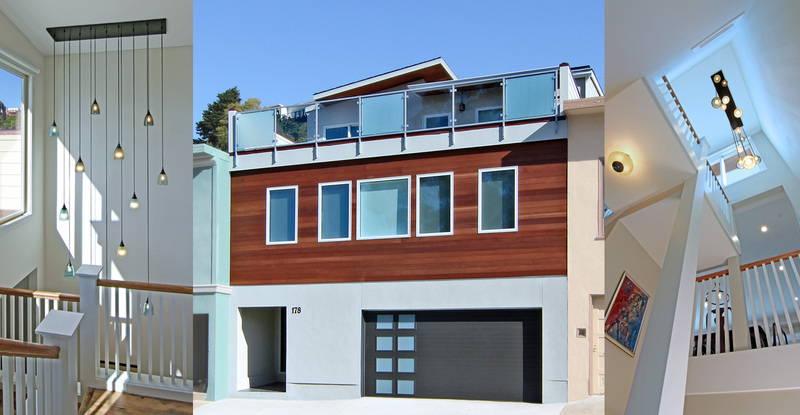 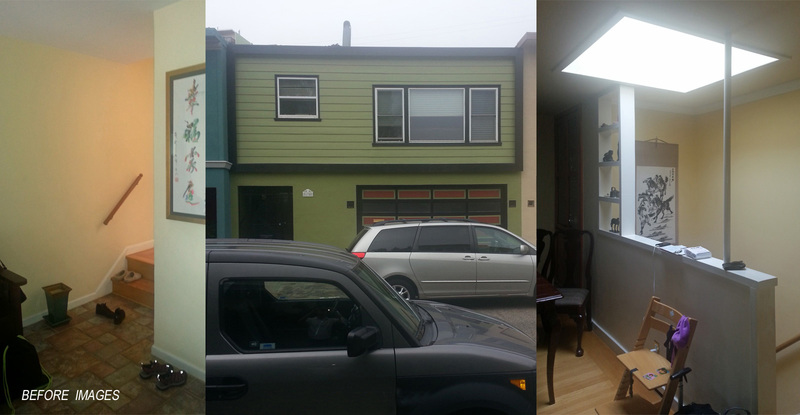 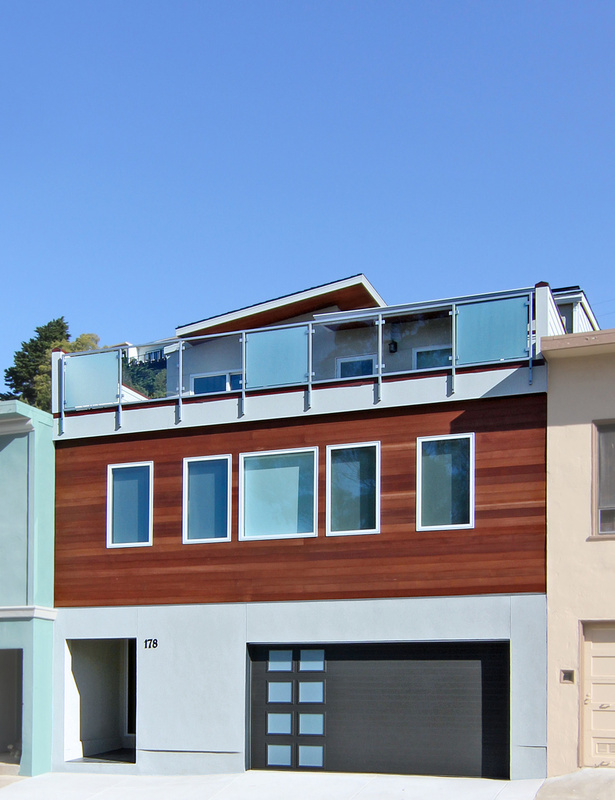 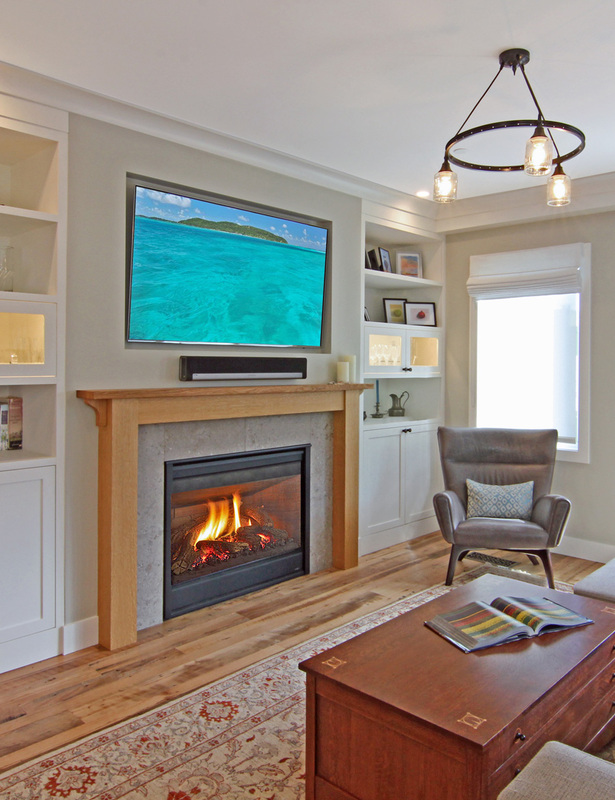 An 850 square foot 3rd story addition and complete remodel of an existing 2 story home. 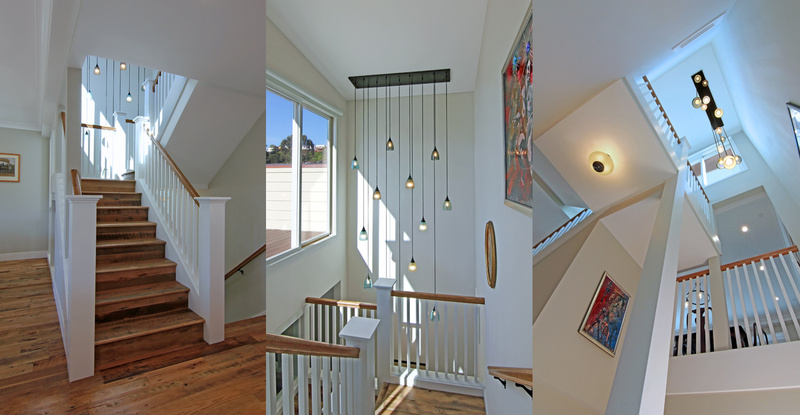 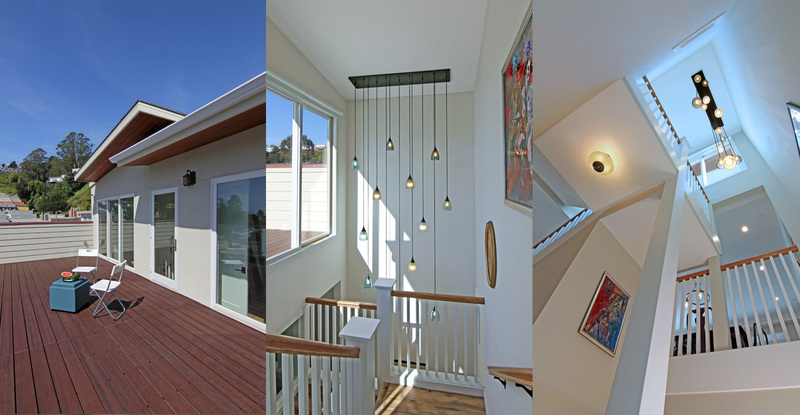 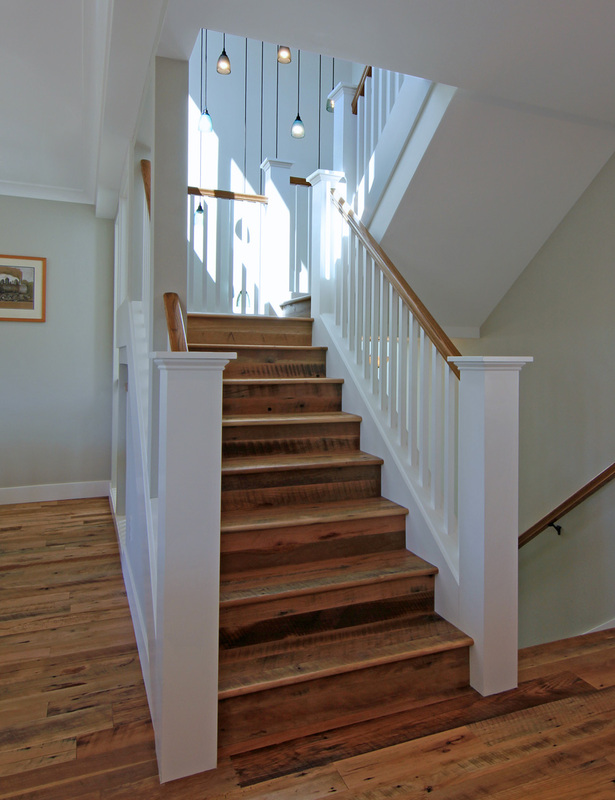 Integral to the new design is a dramatic 3 story balcony Staircase awash with light from a top story window wall. 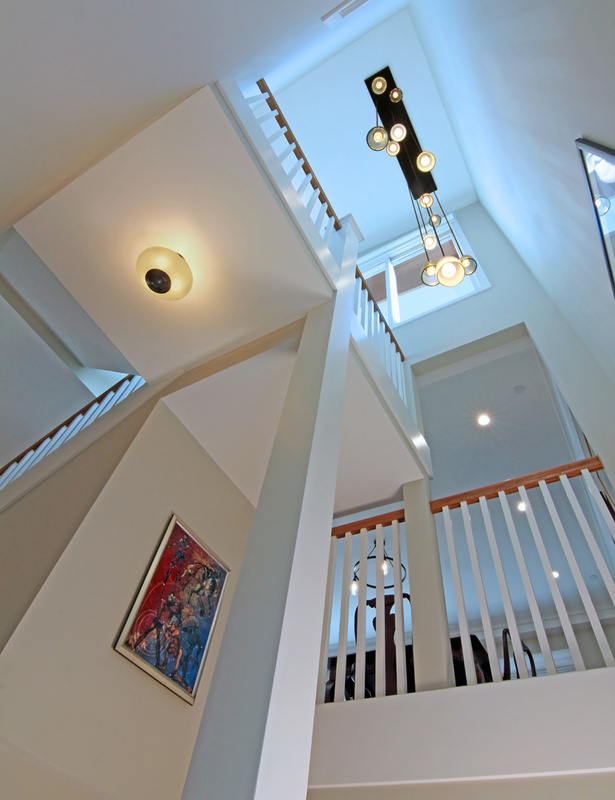 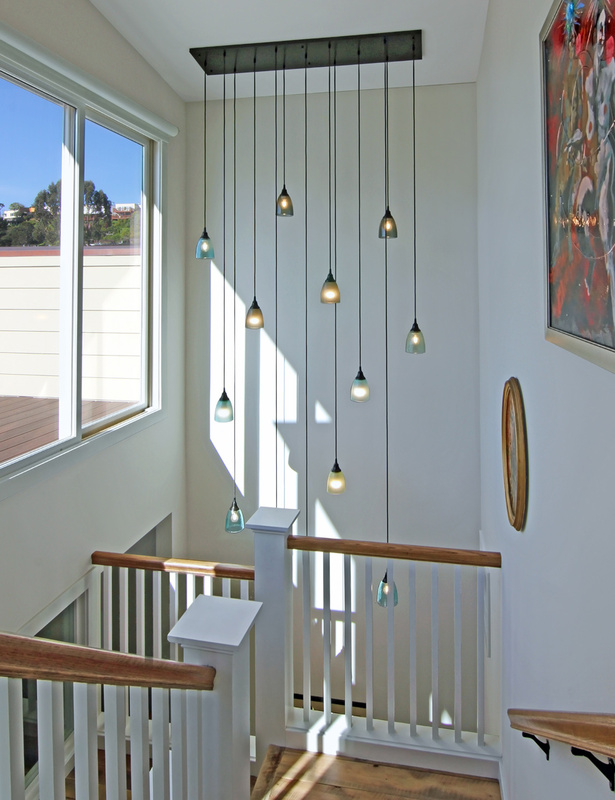 Abundant light filters through the entire Home, greeting you as you enter the Home on the Ground Floor. 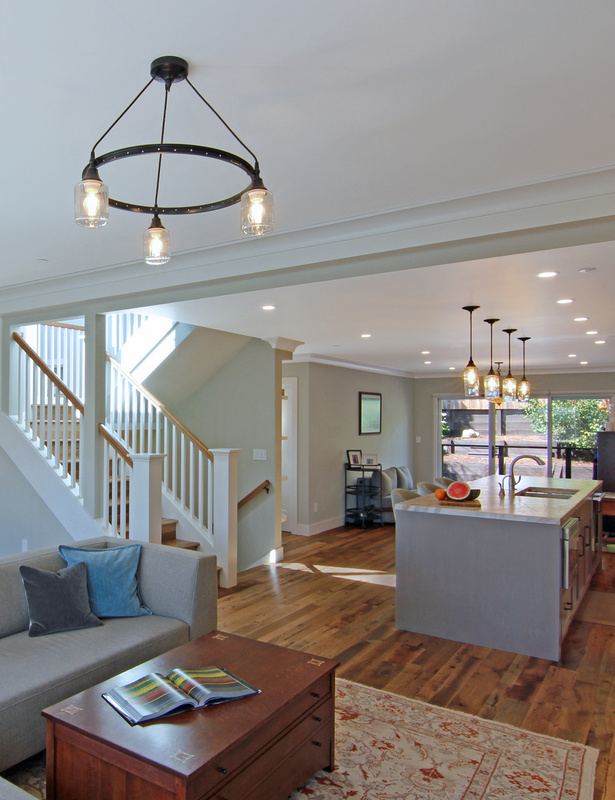 As you approach the Main Level above, the Open Family Kitchen features prominently. 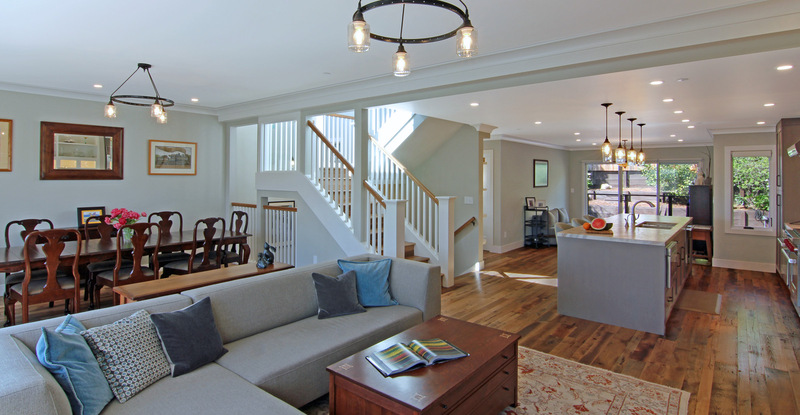 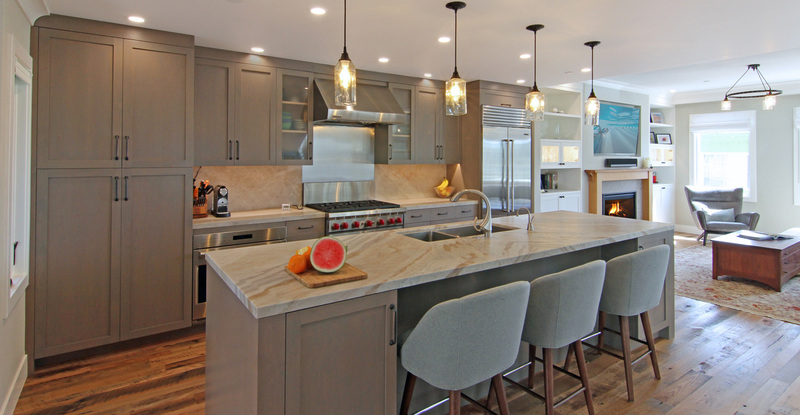 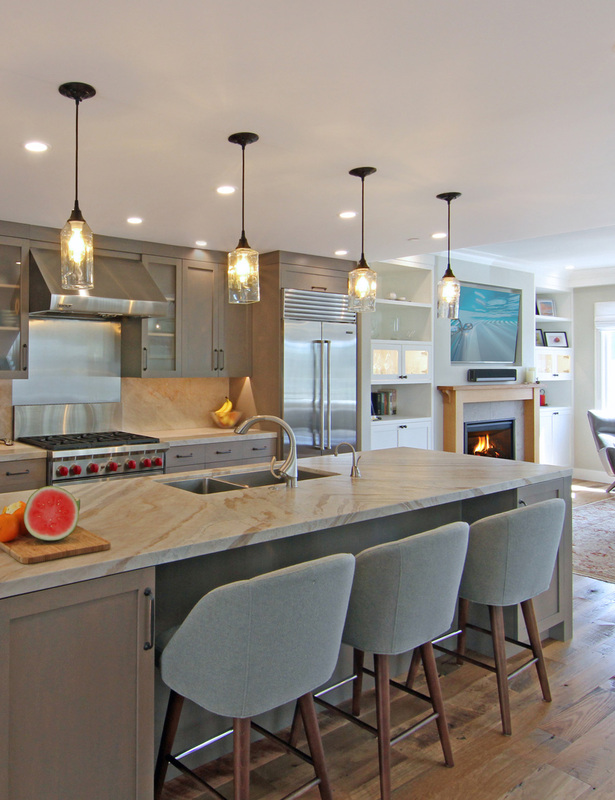 The Open Kitchen is flanked by a spacious Living Dining Area on one side and on the other side by a more informal Family Area leading to the Rear Deck and Yard. 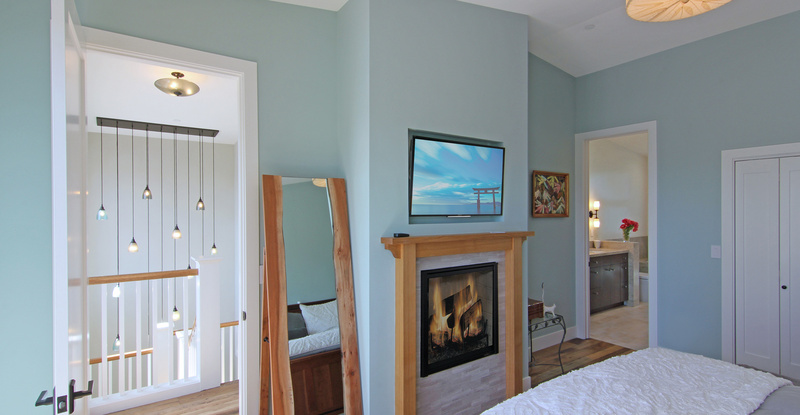 The Master Bedroom on the 3rd Story opens onto a Roof Deck with far reaching bay views that extends the full width of the Home. 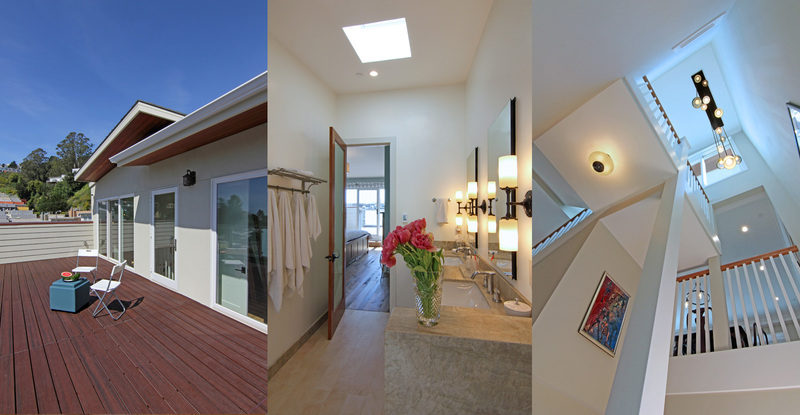 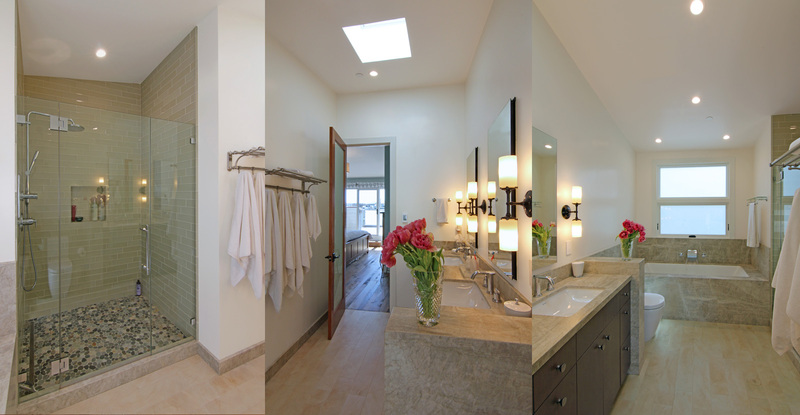 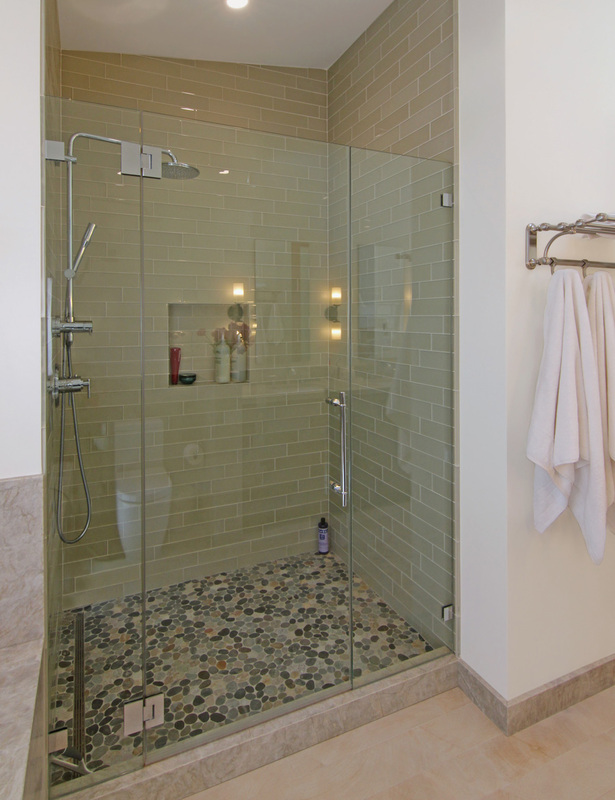 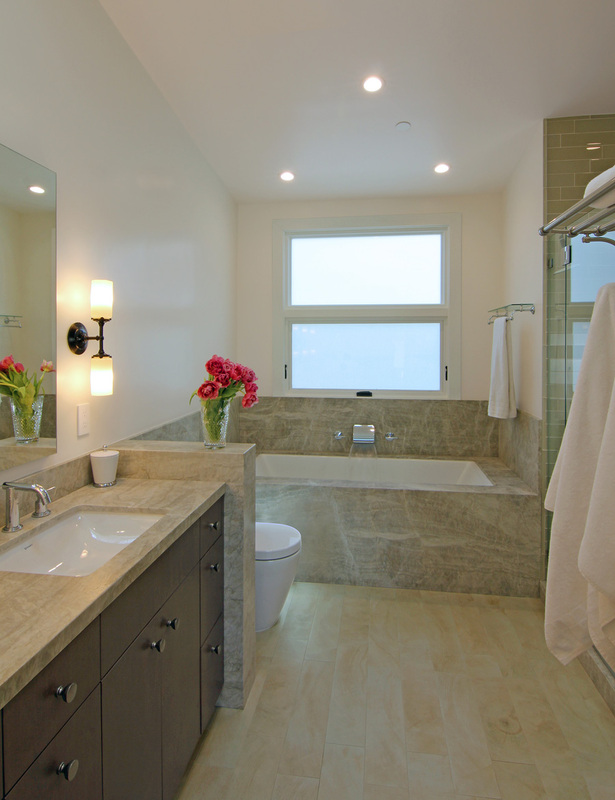 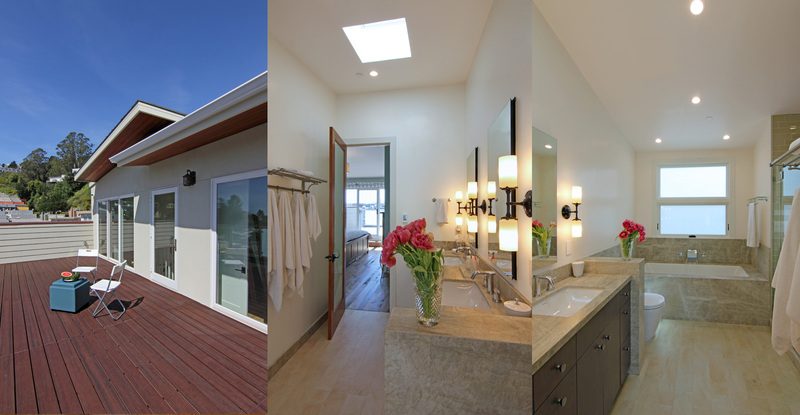 The Master Bath features a Jacuzzi tub and separate shower with large windows and skylight providing abundant morning light. 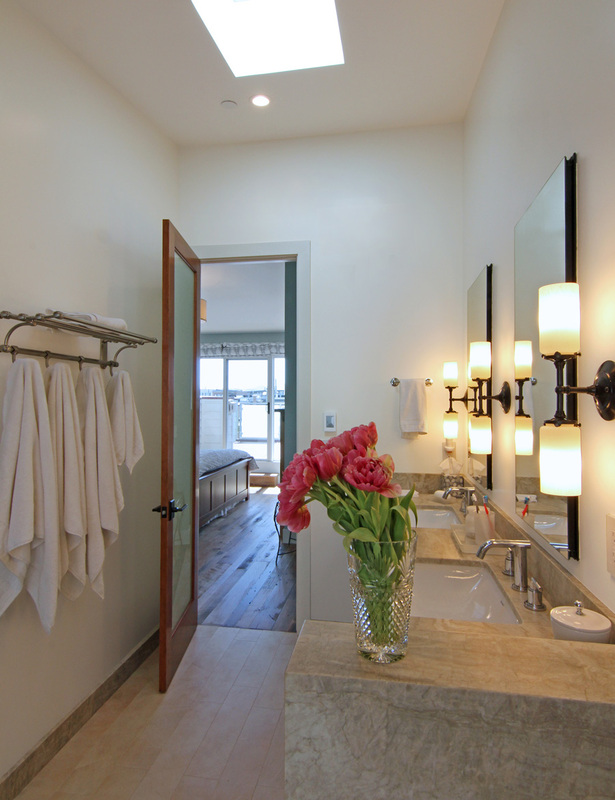 The Modern Design with Transitional Details reflect the growing families busy life while offering comfort and respite.